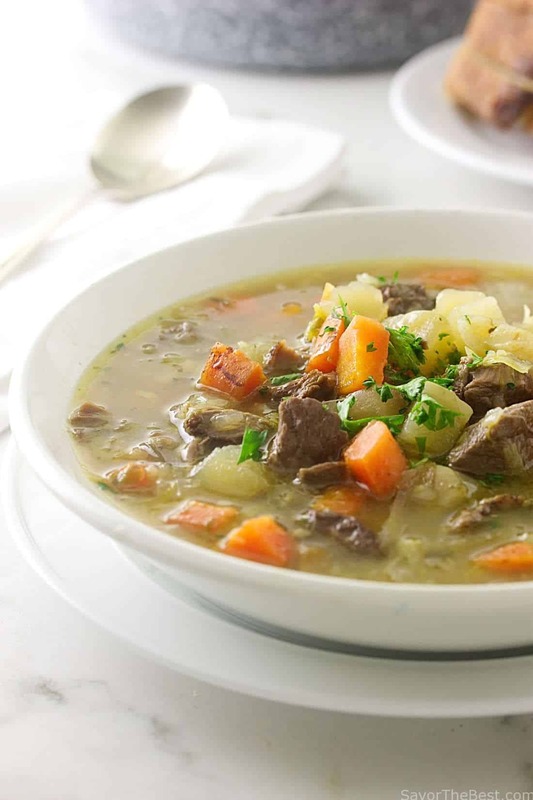 Scotland’s classic Scotch broth is a soul-warming soup that is hearty enough to be a meal. 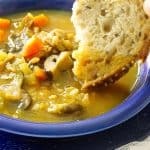 Enjoy this nutritious, healthy soup with crusty bread and cheese. Scotland’s classic scotch with lamb, barley and root vegetables. 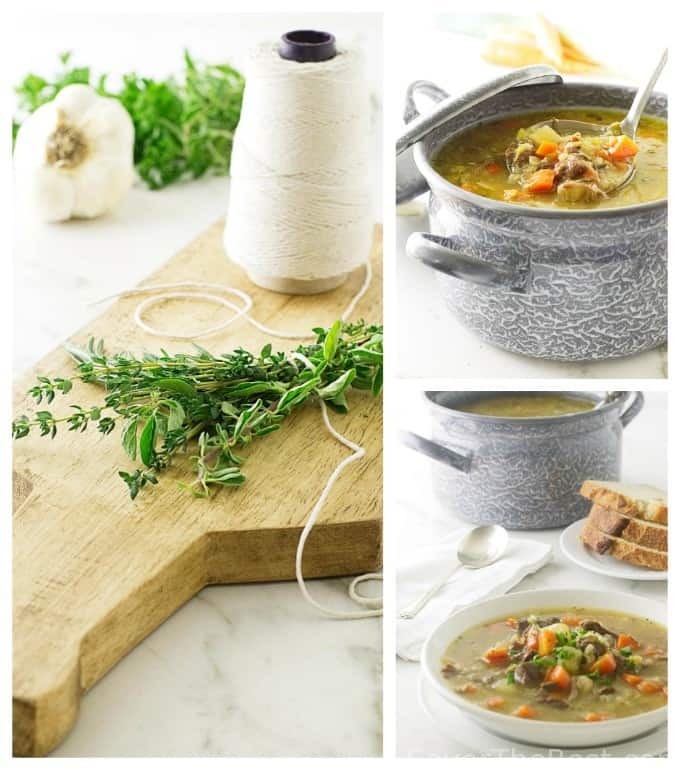 Scotch broth is made with lamb or beef, vegetables, fresh herbs and pearl barley. 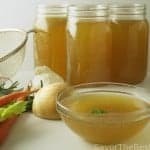 We use lamb in this recipe, and after searing it nicely and adding fresh herbs and broth, it is simmered slowly resulting in a deep, rich, flavorful broth. Scotch Broth with lamb, fresh herbs, and root vegetables. Scotch broth traditionally includes the grain barley as a thickener. To the average Scottish homemaker, barley is as familiar to us as rice. However, barley is an ancient grain that originated in Ethiopia and Southeast Asia. It is a member of the grass family and has been cultivated for more than 10, 000 years. Barley is readily available and used in soups, bread, and cereals. As barley is a heart-healthy grain it has been named as February’s “Grain of the Month” in honor of Valentine’s Day. We have included root vegetables in this hearty soup, and they are nutrient-dense with many health benefits. 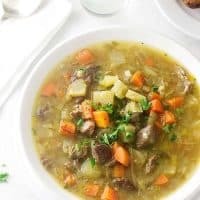 They are standard fare in Scotland and scotch broth traditionally consists of a selection of carrots, leeks, turnips, rutabagas, and parsnips. We added shredded cabbage near the end of the cooking time. 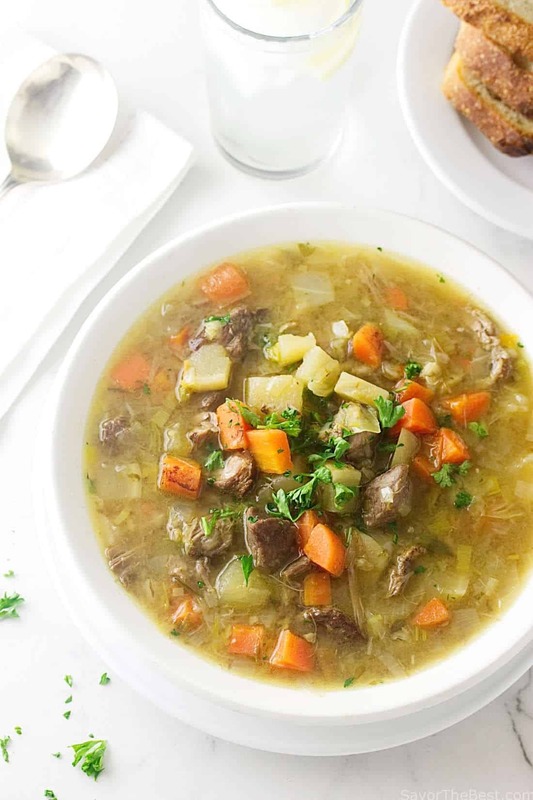 Scotland’s classic scotch broth is a soul-warming soup made with lamb, barley and root vegetables. 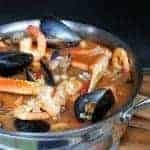 In a heavy-bottomed pot or Dutch oven, over medium-high, heat the oil and add the lamb pieces, sprinkle the meat with the salt and pepper and sear, about 8 minutes. Pour in the chicken stock, scraping up any bits left in the pot from the searing. Stir in the pearl barley, bay leaves and the bundle of fresh herbs. Bring the pot to a boil, reduce the heat to low and simmer for 1 hour with the lid on the pot but slightly ajar. Add the leek, onion, turnip and carrots to the pot, stirring to combine. Return the soup to a boil then reduce the heat to low and simmer for an additional 30 minutes. Stir the shredded cabbage into the soup and simmer for another 15 minutes. Remove and discard the bay leaves and the remains of the herb bundle. To serve, ladle into soup bowls and garnish with chopped parsley. Serve with warm crusty bread. 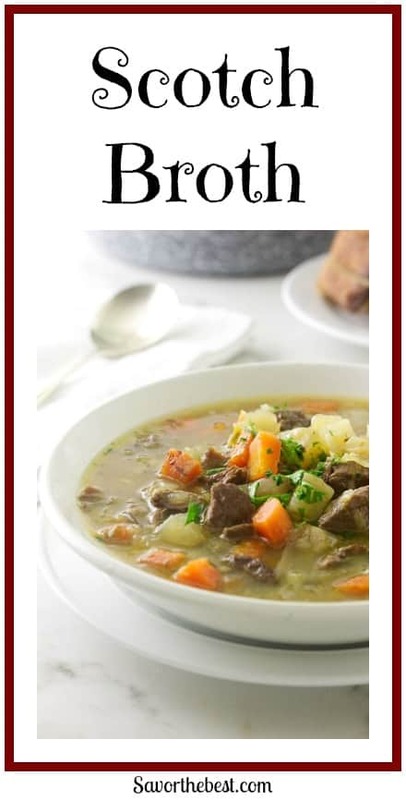 This is the first time I have seen a from=scratch recipe for Scotch Broth — all I’ve ever seen is the Campbell’s soup version. Barley is definitely one of the “seven species” of produce in the Bible. We’ve been making a ton of soups lately. Cold weather, you know, plus they’re so comforting. Haven’t made Scotch broth in ages. It’s got great flavor, doesn’t it? You’ve reminded me how good it is — thanks!